Established in the year 2004, under the leadership of Mr. Indravadan S. Shah a pioneer in the field of refrigeration in Gujarat region, who has not only commissioned 70% of refrigeration projects mainly cold storage, ice plant & chilling plant but also has provided his in depth knowledge and trained people of Gujarat in this unique engineering field. 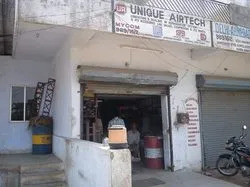 Under his vision only where he want customer to get all his requirement of Refrigeration and Air conditioning at one place and so we started Unique Airtech at Vadodara to fulfill his dream. 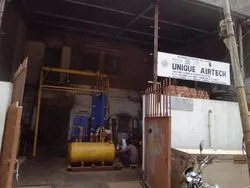 At “Unique Airtech”, we are a leading Manufacturer, Supplier and Service-provider of Refrigeration Plant & Equipments like chilling plant, ice plant, cold storage & air conditioning plant and equipments like compressors & its spares, valves & fittings, condenser, chiller & instrument item etc. 1. As a business partner with M/s. Mayekawa India Pvt. Ltd., Japan for their range of ammonia screw & reciprocating compressors which is the largest selling compressor in the world by name of MYCOM. 2. As a TSR for M/s. Kirloskar Chillers Pvt. 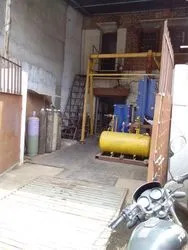 Ltd., Pune for their range of screw & centrifugal freon base chilling plant. 3. As a stockist & distributor of M/s. Super Maini, Delhi for their range of ammonia valve & fittings and equipments like agitator, ice can dump, spares etc. 4. As a Authorized supplier of M/s. 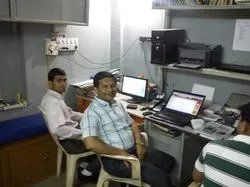 Mek Controls, Pune for their Manik make Instrument & control. We have appointed a team of professionals that supports us in carrying out all our business activities efficiently. Furthermore, we have a large and spacious warehouse for the bulk storage of our products. Our quality professionals keep a strict vigil on the quality of the products before the final delivery. Owing to the premium quality of our products, we have mustered a huge clientele across the country. Under the noble guidance of our mentor, 'Mr. Jigar Shah', we have established a strong foothold in the domestic market. His in-depth knowledge, charismatic leadership and fabulous business skills have enabled us to achieve new horizons of success. We are a reputed name engaged in supplying and service-providing Industrial Spare Parts & Refrigeration Equipment. The comprehensive gamut we offer includes Cast Iron, Weld In Line Valve - Globe Valves, L - Series compressor, K - Series compressor and Cold Storage Doors. Furthermore, we also offer Cold Storage Locks & Hinges, Ice Cans & Can Dumps, Electronic Liquid Level Regulator, Temp. & Pr. Gauges, Solenoid Valve, Air Cooling Unit and Evaporation Condenser. In addition to these, we also offer Refrigerant Oil Separator and Condensers. All our products are sourced from the certified manufacturers of the market. We procure our products from the most authentic vendors of the market. 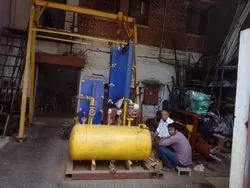 These vendors use optimum quality raw material in manufacturing our products. We have been maintaining a good relationship with these vendors since our establishment. These vendors supply premium grade products to us and that too within given period of time. Due to their timely supply, there is no delay in providing the products to our clients. Owing to the high quality products and ethical business transactions of our vendors, they have win the trust and confidence of us. Due to our client-centric approach, we are capable of offering finest quality products to the clients. Our products are offered at economical prices and are in conformation with international quality standards. We have undertaken varied project for different reputed clients.